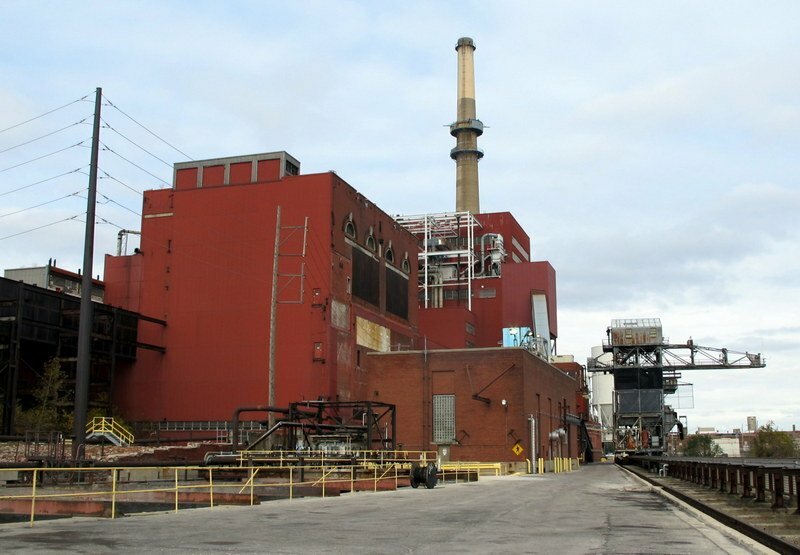 A property developer plans to build a large data center at the Fisk Generating Station, a disused coal-fired power station in Pilsen, Chicago. Hilco Redevelopment Partners wants to build facilities covering some 350,000 sq ft (32,500 sq m) of land, on a site it is buying from Midwest Generation, a subsidiary of NRG Energy, reports local news site Block Club Chicago. Situated on Lake Michigan, close to the state boundary with Indiana, the site has has good power and connectivity, as well as abundant water for cooling, HRP said. The Fisk plant is in a heavily industrial area, just fifteen miles from State Line, another former coal-fired generating plant which is already being turned into a data center campus. Hilco plans to build two three-story data center buildings; it has made an application to the local Land Use Committee, and is arranging meetings with local residents. The space within the buildings will total 309,000 sq ft and 730,000 sq ft, making up a potential million square feet (920,00 sq m) across both, according to Chicago Architecture. 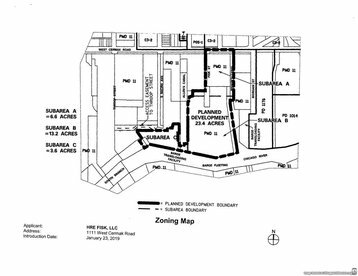 The white space available will be significantly less, as the buildings will also house some office space and a fiber network facility. Jeremy Grey, Hilco’s director of development, told Block Club the site is a “premier location” thanks to the available fiber infrastructure, adding that the company does not plan to apply for tax incentives in order to build the project. 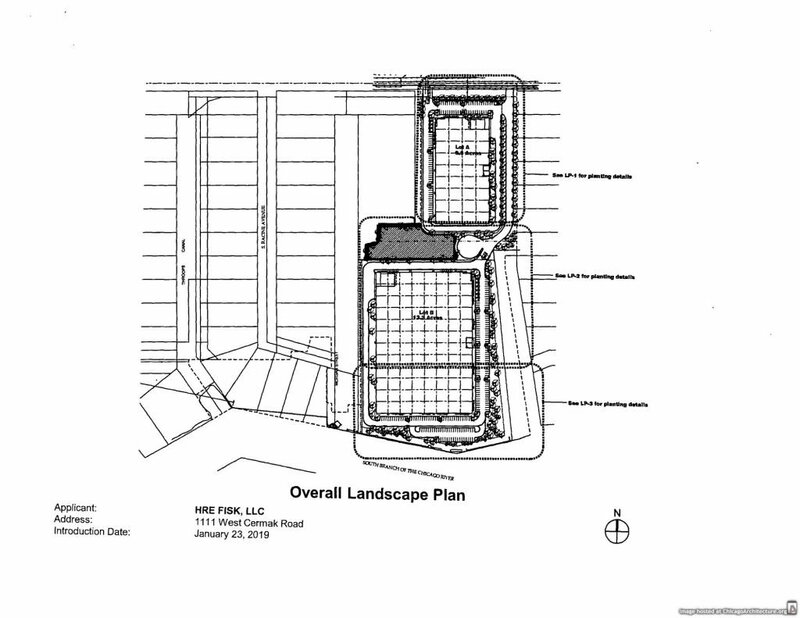 The location will be landscaped, and the City's proposed Paseo trail will pass through it, according to Hilco's plans. The blueprints also include two barge loading areas. Residents might be persuaded to back the plans by the prospect of a "good old-fashioned chimney implosion," according to Chicago Architecture, as the documents filed by Hilco have "no sign of the original power plant." 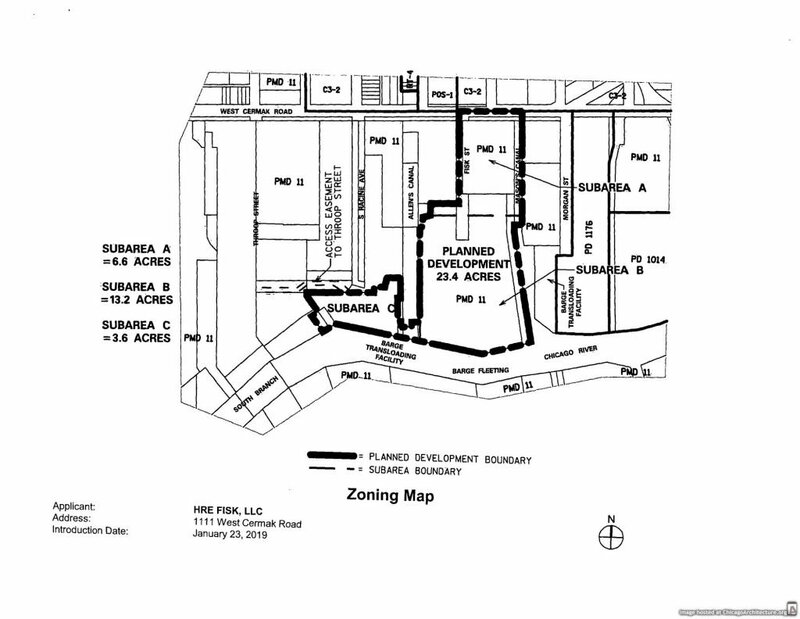 However, the site feels the barge loading areas mean "there is zero chance of this becoming Pilsen’s riverwalk." When Fisk Street Station opened in 1903, its 5MW steam turbine was the most powerful in the world by a considerable margin. The manufacturer, General Electric, only agreed to build such a monster when the customer, Chicago Edison, agreed to pay for the installation and take the risk. Once it was running, it became an engineering wonder - among other innovations, its blades were the first man-made objects to travel faster than the speed of sound. The turbine is now preserved in General Electric's New York headquarters. By the time the plant closed in 2012, its reputation had soured: it was seen as a source of asthma and high mortality, and was dirtier and more costly than gas-fired stations. The site still retains Midwest Generation's "peaker" plants - diesel generators that are used to balance local demand and improve the reliability of the utility grid. Under Hilco's deal with NRG, these peakers remain, and have permission to produce up to 20,000 MWh per year, according to Block Club. “The peakers at the Fisk site serve as an important reliability role and will not be impacted by site redevelopment,” David Knox, a spokesman for NRG Energy, told the publication.